Danish born and transplanted with her family to Mount Isa as a five-year-old, Ivy Jensen has turned a childhood love of literature into a successful career in journalism. Armed with Bachelor of Arts (and double major in journalism) from the University of Queensland; Ivy got a start on the North West Star, her local paper, before making the move to Echuca-Moama in 2004 and joining the Riverine Herald in 2005. 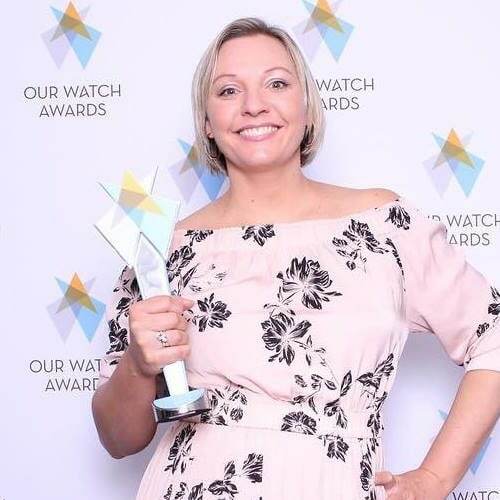 She is now raising her two daughters – aged eight and 11 – while also working as the award-winning paper’s senior journalist and occasional sub editor. She has achieved a Walkley Our Watch award and Quill award while at the Riverine Herald. Ivy's rounds cover police/emergency, court, domestic violence, health, weather, babies and general. You can also read about the highs and lows of her manic life in her increasingly popular column Mama Mayhem.